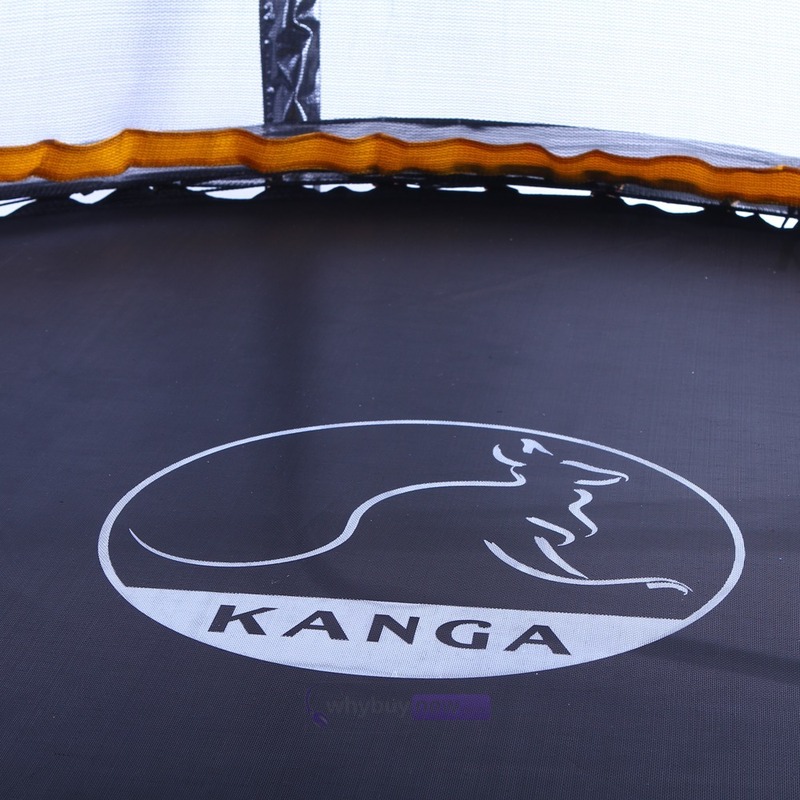 The Kanga 10ft Trampoline with Enclosure Package includes the UK's best selling 10ft trampoline as well as a safety net enclosure, ladder and free anchor kit. 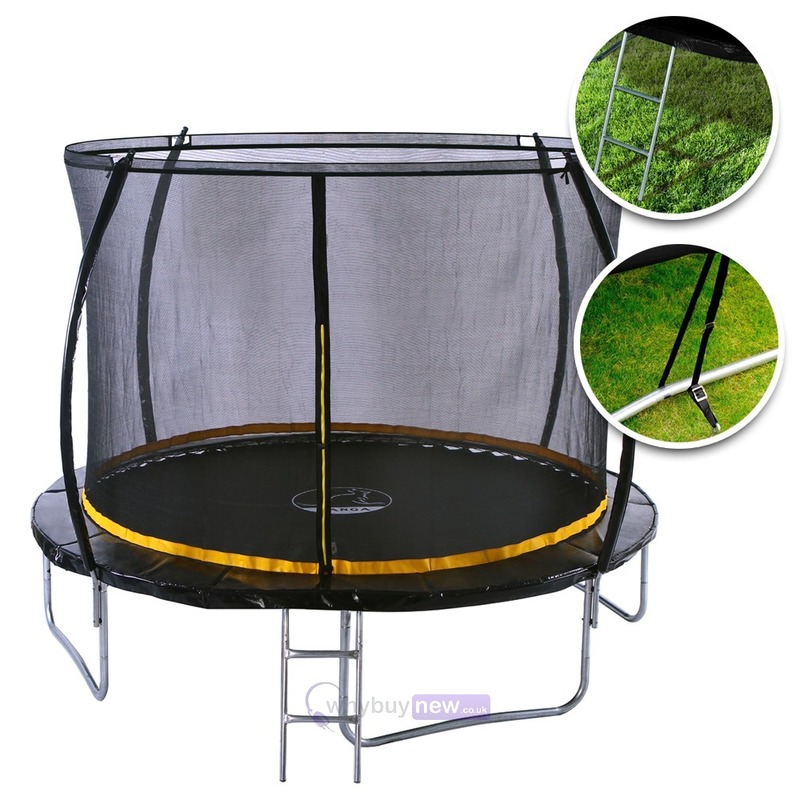 The 10ft trampoline with enclosure fits most small to large size gardens and is large enough for teenagers through to adults, giving an ample amount of room to bounce on. 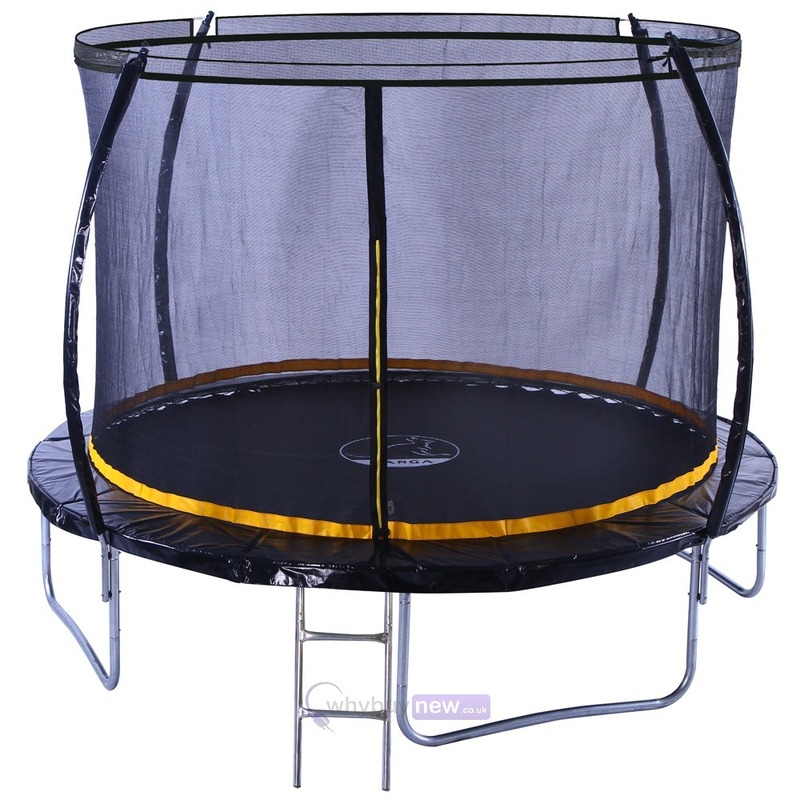 With this 10ft trampoline with enclosure Package not only do you get everything you need to get trampolining quickly and safely, but you will also save £££'s buying altogether in this one great kit! 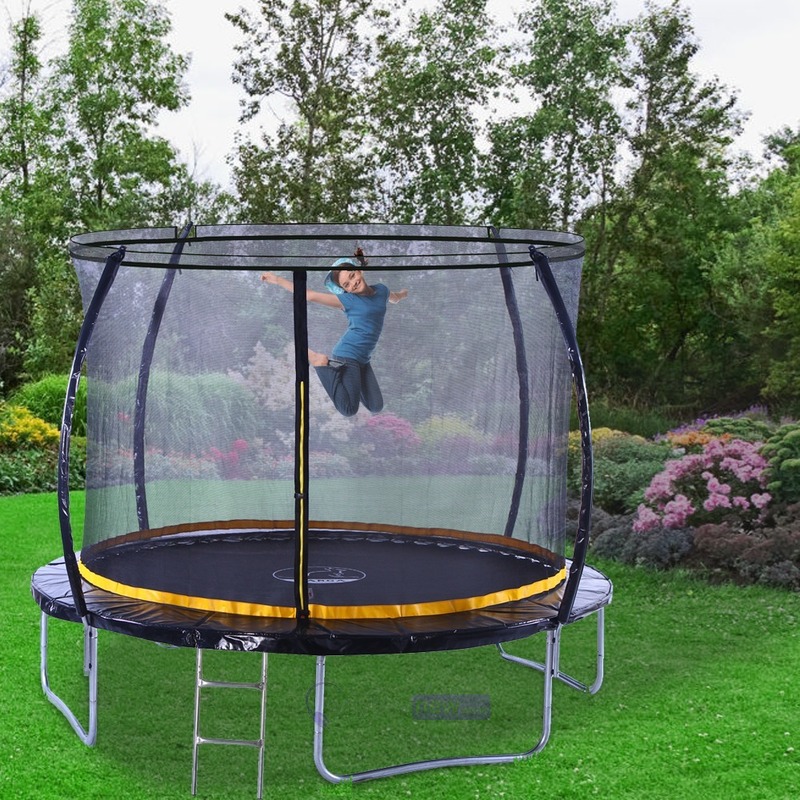 I shopped on line with amazon 1st the order went through but the day it was meant to arrive they emailed me and said they had to cancel the order as they did not deliver where i lived most to the disappoint of my 10 yr old son as it was his birthday gift. 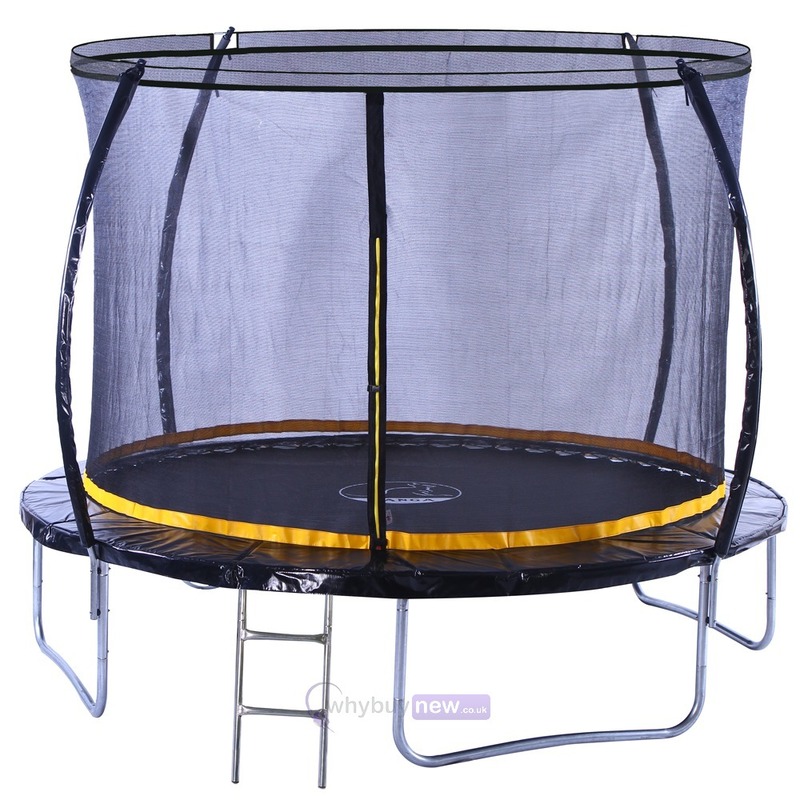 Got back on line and found whybuynew and the trampoline arrived in 3 days so easy to put up and such a sturdy trampoline would definitely recommend this site to any one wishing to buyy a trampoline. 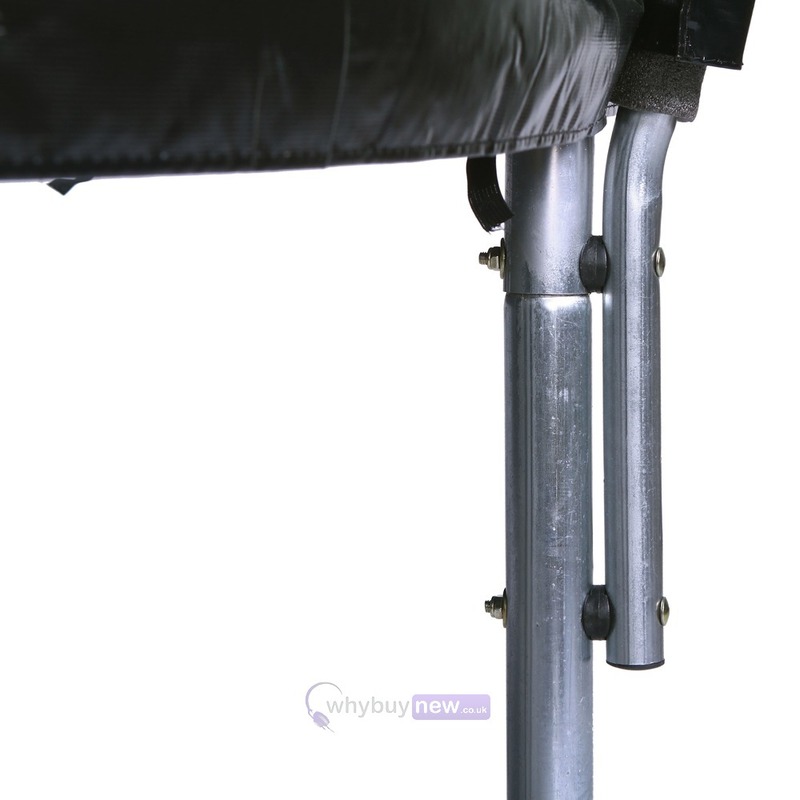 I shopped around online for a while and this seemed to be the best deal, which doesn't always turn out to be the case when the item arrives. In this instance it certainly was. 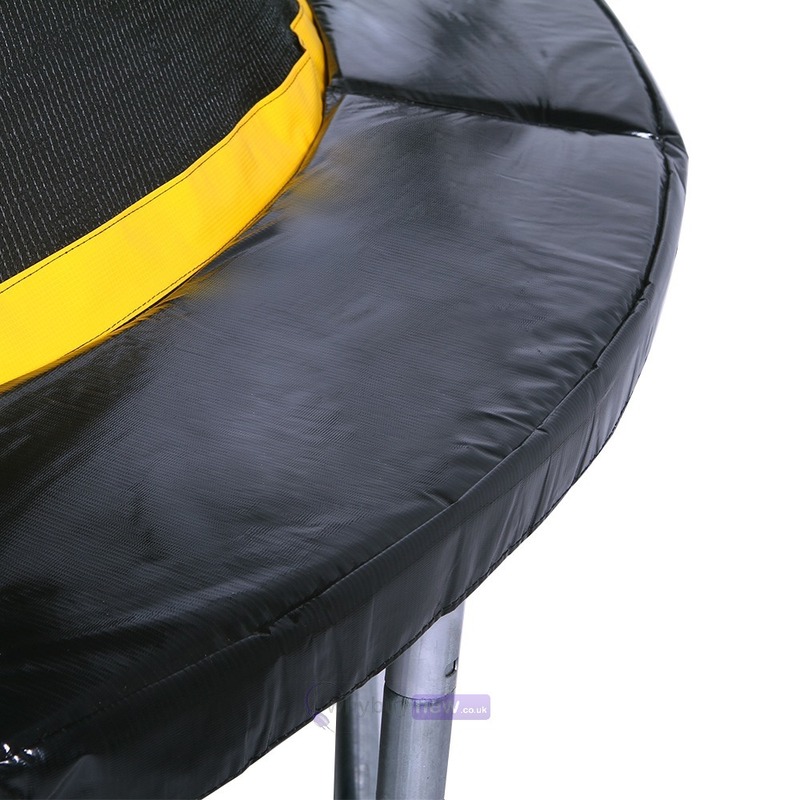 The trampoline is fantastic. 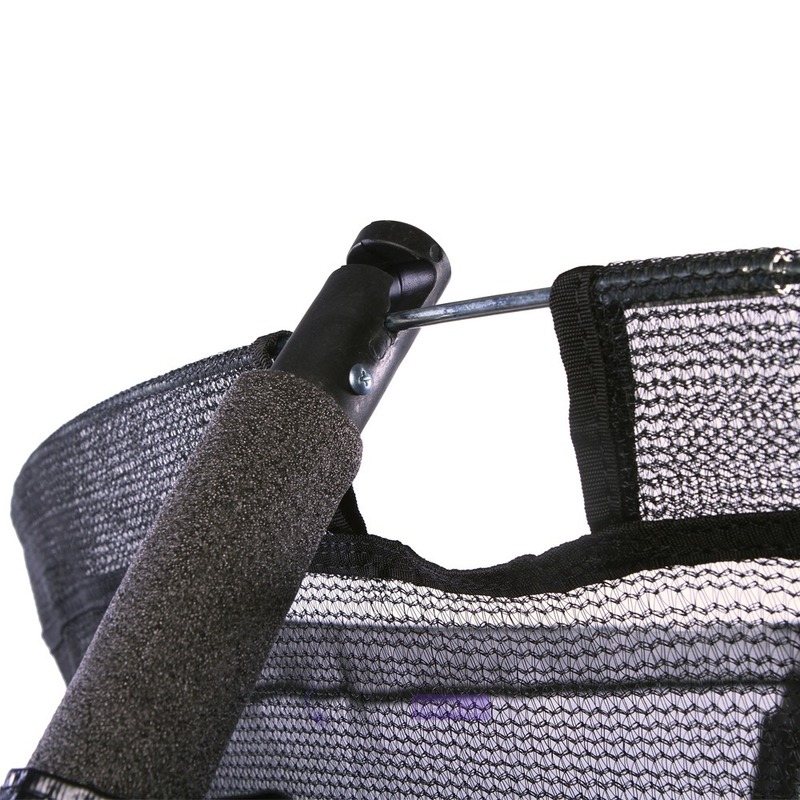 It only took 2 of us 1 hour to errect, although I would allow the 2 hours recommended so you are't under pressure. 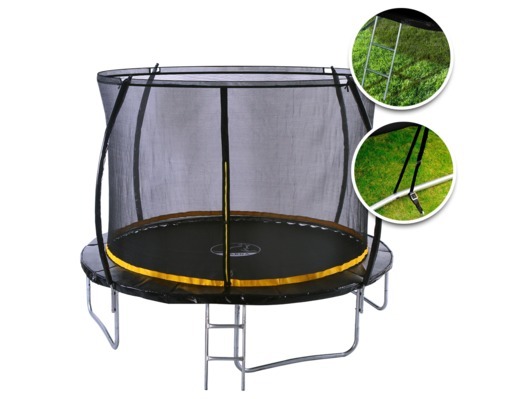 The trampoline is very well made and incredibly sturdy. The kids have been on it every day since!